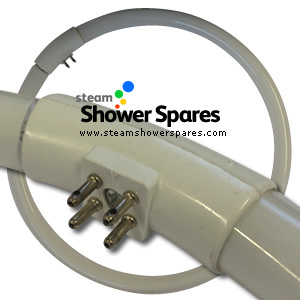 From Fluorescent Ring Tube Lights to LED 'Halo' Ring lights, LED lights for the tower or outside of your shower, we have quite a range. 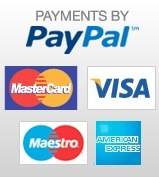 Some items are available in a choice of colours, whilst others are in a bright white. 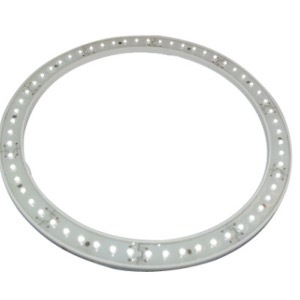 We would recommend our Halo Ring light as a great retro fit alternative to the older fluorescent tube - they last much longer, are much brighter and above all are much more energy efficient. 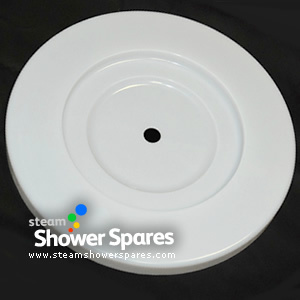 Blue 'Halo' ring light for replacement or retro fit to the cabin roof of shower cabins and steam showers. 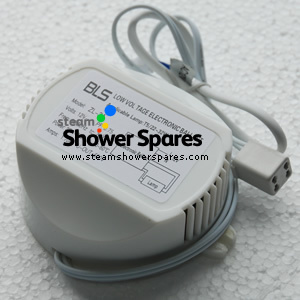 This item comes with blue LED lights providing a low voltage, long life, bright, Ice white illumination. White Light Fluorescent Ring Tube. 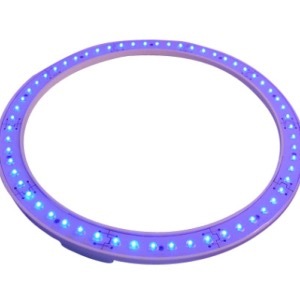 Blue Light Fluorescent Ring Tube. 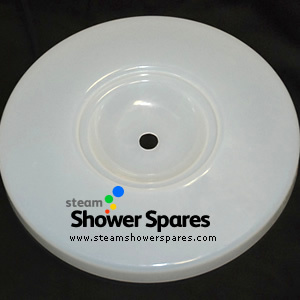 Light Diffuser cover designed for housing a 15cm diameter monsoon shower head.